Medicine is big business, and cancer care remains a fast-growing and highly competitive part of the overarching healthcare landscape. To say that the major cancer centers, large hospitals, and health systems are aggressive marketers would be a vast understatement. A new, troubling report from Truth In Advertising suggests some cancer hospitals are guilty of deceiving patients about their chances of survival, because they give the initial impression that the patient will be treated under the umbrella of precision cancer care, when, in fact, it (precision cancer care) is not available for many types of cancer. And they name names. We are talking about major, respected academic cancer institutions, such as MD Anderson Cancer Center, Dana-Farber Cancer Institute, Memorial Sloan Kettering Cancer Center, and Moffitt Cancer Center. This list also includes hospitals and health systems, and for-profit companies such as the four-hospital chain Cancer Treatment Centers of America, whom I’ve previously coined the 800lb marketing gorilla. It is now commonplace in the U.S. for the major cancer centers—nonprofit academic organizations and for-profit entities alike—to loudly and consistently message ‘personalized’ or ‘precision’ cancer treatment as the last bastion and saving grace for cancer patients. It is often implied that only their institutions are capable of delivering this specialized care. Given this environment, how can a cancer patient or survivor best navigate the landscape of precision cancer treatment for their particular health challenge? First, full disclosure: I am a healthcare business development, strategy, and marketing guy. This is what I’ve done at my company FON for the better part of a decade. I’ve consulted to hundreds of health and medical organizations and, of course, have an affinity for integrative oncology. I have a close-up grasp on how marketing and business works. I want well-intentioned cancer institutions and organizations to succeed. And, though it may sound like a contradiction, from my perspective, I absolutely respect each of the aforementioned organizations as quality-directed establishments that absolutely want to provide the best cancer care for their patients. But I am also a 28-year cancer survivor motivated to educate on what all this ‘precision medicine’ talk means on a practical level for those facing a cancer diagnosis. It is imperative for all to understand costs, benefits, and all suitable options when navigating a noisy marketplace. My biggest concern with the large hospitals and academic cancer centers is the promotion of personalized cancer care while knowing—sometimes based on initial prospective patient intake or advance review of clinical notes—that the individual is most likely not a candidate for so-called precision care. In this case, the provider (center, hospital) seeks to see the patient in clinic and ‘capture and convert’ the prospective customer for more traditional, standard care treatment. Many prospective patients have traveled by car, train, or plane, and have absorbed non-reimbursable expenses in the hope of better ‘precision’ care. And some are in terrible shape to travel to begin with. This is unfair to both patients and caregivers. Cancer care treatment and disease management is evolving apace with sophisticated tests and targeted treatments. An increasing number of cancer types and subtypes are now candidates for precision cancer care. However, the vast majority of malignant disease is not yet included in the ongoing, but still limited, advances of personalized medicine. I remain a strong proponent of patients working with major institutions—specifically NCI-designated comprehensive cancer centers—to get a second or third opinion for most cancer diagnoses. I’ve written on this topic here. Anyone newly diagnosed with cancer, and those with recurrent, relapsed disease, should be seen by an expert clinician-investigator who eats, sleeps, and incessantly thinks about each patient’s disease. These invested folks are the ones that see the most patients hosting your particular category of malignancy, and the sometimes myriad variations of mutations and chromosomal differences unique to you. This group includes top academic experts leading or collaborating on the latest treatment advances. Importantly, precision cancer care agents and approaches, including gene editing and myriad immunotherapies, are rigorously investigated at these same centers of excellence. These same oncologists you see in the clinic at these academic institutions are running studies in their labs. They are publishing in the medical literature… on your particular health challenge. The misdiagnosis of cancer is still too common—reason alone for a second opinion. Not all smaller community clinics and oncologists are up on the very latest diagnostic and care options, the drug pipeline, or clinical trials that may be appropriate for you or a loved one. You must be your own best advocate to uncover what may or may not be possible for your particular situation. This also includes determining if the disease you are hosting is a candidate for newer, so-called precision medicine interventions. Being seen at an academic cancer center or two… or three, does not mean you need or should be treated there. 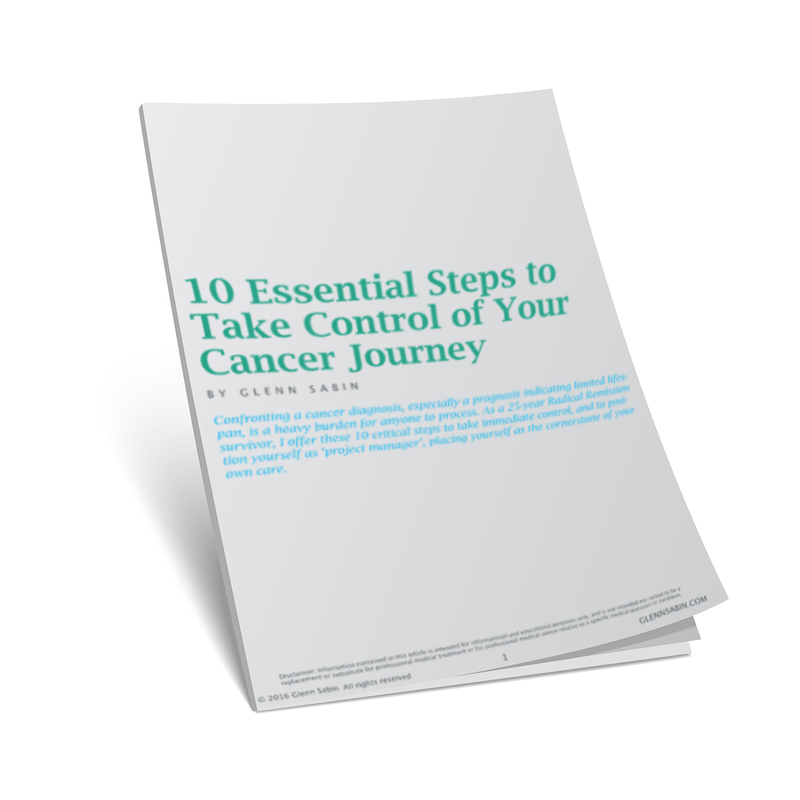 However, if it is a trial setting, or experimental therapy is being offered, you may have to consider this specialized treatment one of these major cancer centers. It is often most practical, comfortable, and less expensive to be treated locally. If you are being managed by a community oncologist with whom you are comfortable, ask her to recommend a specialist at an NCI-designated comprehensive cancer center. Your community oncologist should be comfortable in her own skin and happy to make the referral. She will grow professionally from your connection with experts from that center. So, get the recommendation, be seen there, and become a patient of record. Get a comprehensive workup and written opinion based on the center’s independent findings. Then, determine if these findings—diagnosis, prognosis, and recommended treatment plan—match those of your local provider. Are there differences in the recommended treatment plans? What scientific literature or clinical observations have informed the academic expert’s opinion? Ask your oncologist to see the published research that supports their recommendations. You can also consider learning how to use PubMed, the largest repository of published biomedical research, to search for abstracts and full peer-reviewed papers most relevant to your situation. Begin with the Quick Start Guide to learn how to use this powerful database. Most often, the academic oncologist, who is often a scientist, or otherwise steeped in research, has the most informed reasoning behind his or her recommended treatment schema. It is highly likely that this person can work with your local oncologist to design a comprehensive care plan administered specifically for you, and close to home. Where you get treated and managed can significantly vary in price, and often costs more at hospitals and cancer centers. Independent community cancer clinics and small centers compete with the larger players, to the extent that this remains possible. Over the last decade, many community oncology practices have been swallowed by hospitals and health systems through acquisition and various management structures. It’s hard to imagine any oncology practice losing money or going out of business in such a (sadly) in-demand industry. But this is exactly what is happening. For many, it is the stark choice of undergoing change through being acquired, or shutting the doors. This is because drugs cost much more for private clinics to purchase than larger hospitals and cancer institutions. They essentially purchase their drugs in bulk and get rewarded for doing so. To make matters more challenging for community-based providers, insurance reimbursements for care are significantly less for these small clinics because they have less leverage than the large centers. This is because the big, institutional players (think: cancer centers and hospitals) are able to negotiate better terms with insurance companies due to their size. Of course you need and deserve the absolute best care, but at the same time need to know how expensive cancer care can be. So, be mindful of the economic impact as decisions are made. And never ever hesitate to ask what something is expected to cost, because, alas, medical costs are opaque and remain an enigma in the U.S.
Take all the aggressive messaging and marketing of ‘precision medicine’, ‘individualized medicine’, and ‘targeted cancer care’ with a grain of salt … until you uncover exactly what this means for your unique situation. Don’t forget that cancer care clinics, large hospitals, small treatment centers are all businesses and, therefore, compete to provide your care. Don’t lose sight of this under the often confusing and disingenuous marketing and messaging of precision cancer care.